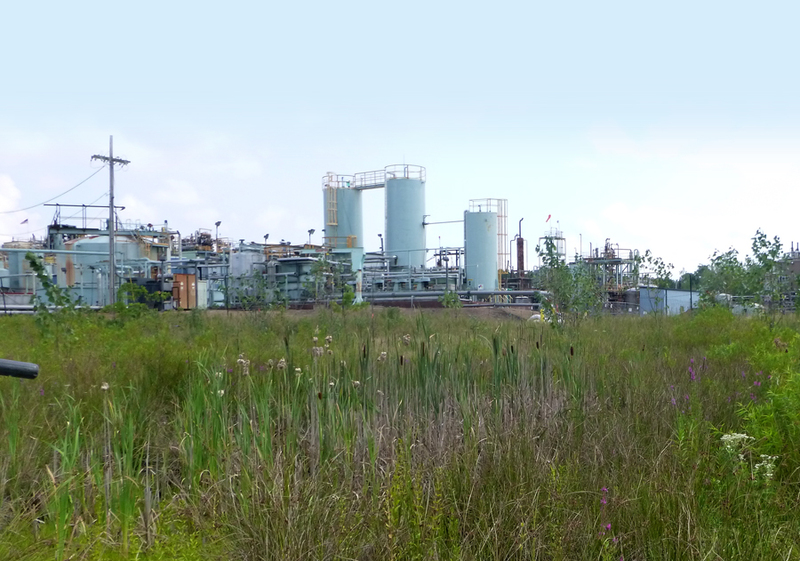 Weston assumed complete environmental liability for the remediation of past releases at an 80-acre chemical manufacturing plant. Weston’s overall goal is to remove risk and uncertainty by assuming liability for and complete the remediation of contamination associated with historical releases. This project entails implementation of the decision of past litigation by current and previous property owners to facilitate the cleanup of a large chemical manufacturing facility and effectively overcome the impediment to the cleanup caused by the bankruptcy of the previous owner. The 80-acre chemical manufacturing facility associated with this work has been in operation since the 1950s. A variety of chemical products, including plasticizers, lubricants, and heat transfer fluids containing PCBs were manufactured and used at the site. Several areas of soil and groundwater contamination have been identified both at the site and on adjoining off-site properties. PCB contamination has been identified in soil, sediment, and a layer of light non-aqueous phase liquid (LNAPL). Volatile organic, semivolatile organic, and metal contamination have been found in on-site soil and shallow groundwater. Together, Weston, New Jersey Department of Environmental Protection (NJDEP), and the EPA negotiated a transfer of environmental liability from both the current and former property owners. Weston signed a settlement agreement and an administrative consent order to assume responsibility for the site remediation. Weston used regulatory knowledge and remediation expertise to save over $20 million in remediation costs by working closely with the EPA to obtain approval of a risk-based disposal, which includes controlled on-site reuse of soils containing up to 500 parts per million of PCBs. As part of the overall settlement with NJDEP, Weston settled the outstanding Nationwide Readmissions Database claims by funding the acquisition of 33 acres of open space in the headwaters of the Raritan River. Plans are in place to construct wetlands on this open space. Weston procured comprehensive Clean-up Cost Cap and Pollution Legal Liability insurance coverage to further guarantee to all stakeholders that Weston will fully address the environmental issues and all related liability. The finite policy issued by ACE USA, Inc. has a term of 30 years and includes third-party liability coverage. Excavation and off-site disposal of over 30,000 tons of contaminated soil and sediment. Installation and operation of a focused recovery system that has removed over 8,000 gallons of contaminated LNAPL of off-site disposal. Construction and restoration of approximately 2 acres of wetlands. Installation engineering controls, including capping and a containment barrier to prevent contact with and migration of contaminants beneath the active chemical manufacturing plant. Weston is currently working diligently with regulators and off-site property owners to address the remaining site contamination. Susan Lockwood, Supervisor, Bureau of Technical Services, Division of Land Use Regulation, NJDEP.